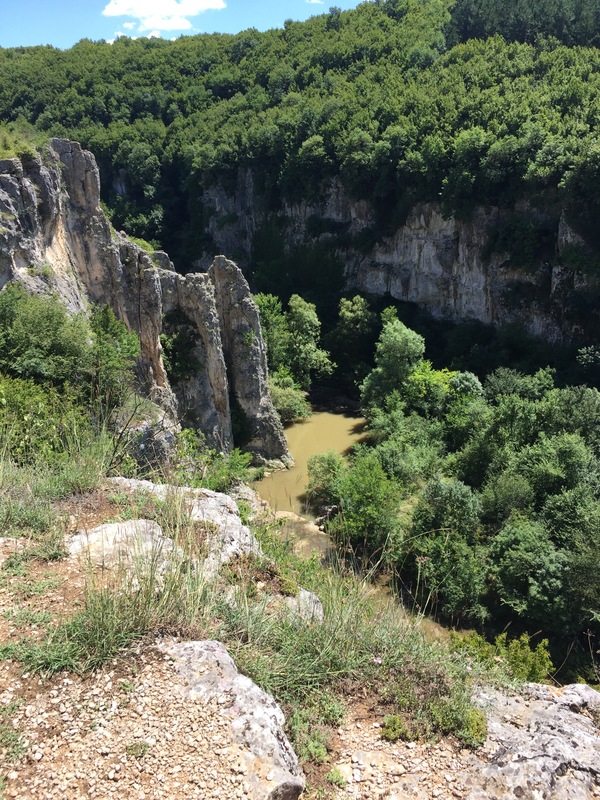 Paloma, our motorhome has taken up a space in fast filling village car park of Emen The famous Emen canyon is located along the Negovanka River and the village provides an excellent base to start the walk. 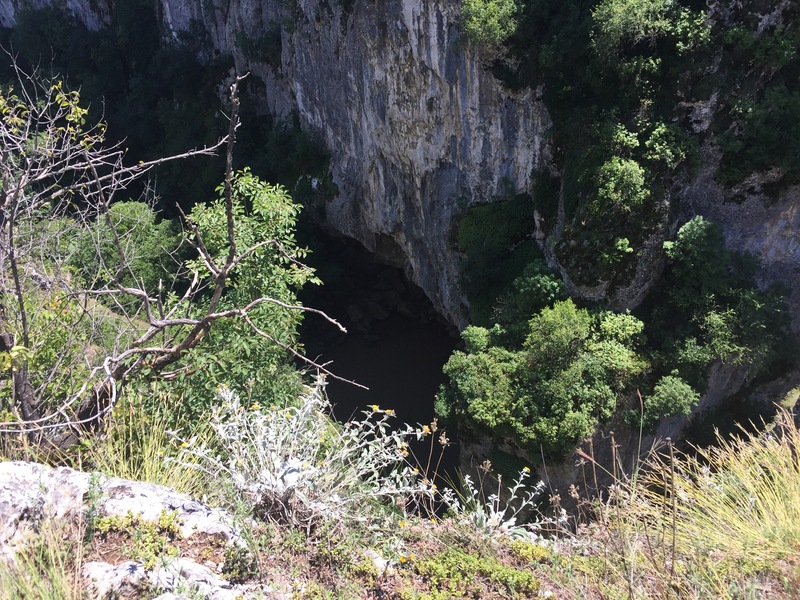 The constant flowing river over millions of years has given rise to small waterfalls and pools surrounded by the canyon walls that rise as high as 90 meters. 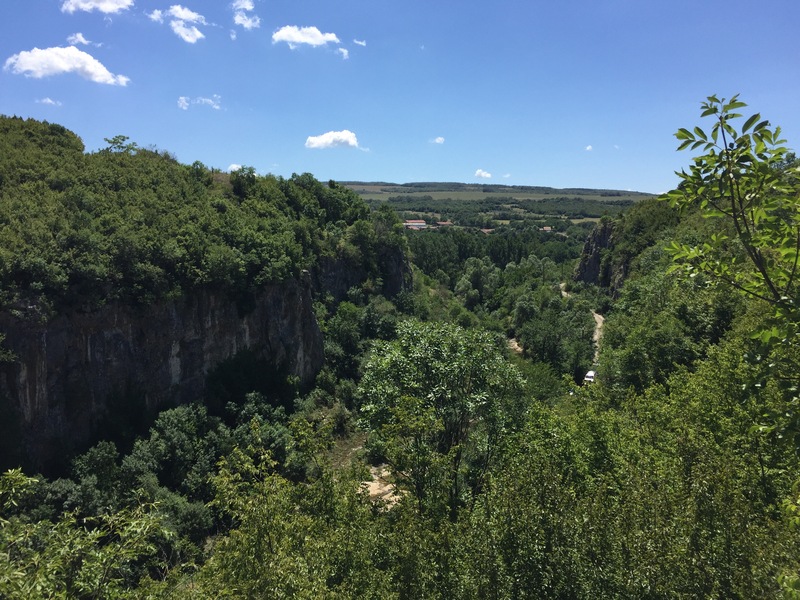 Because of its unique natural beauty, the region was declared a protected reserve in the early 1980s Here we find the very first Eco-Trail in Bulgari, called Negovanka. 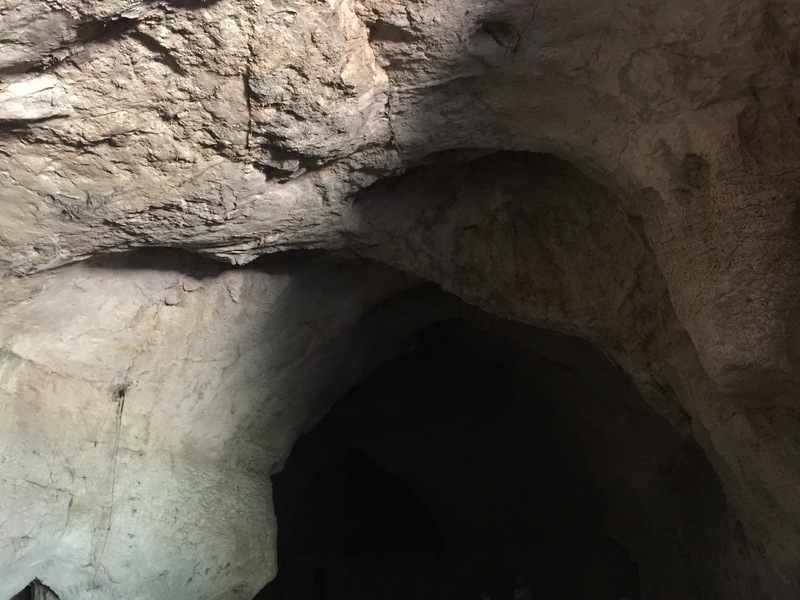 The walk starts from the Emen Cave, one of the longest in Bulgaria at 3113 meters. It was inhabited in the Neolithic period and artifacts have been found from the Bronze Age, the early and later Iron Age. 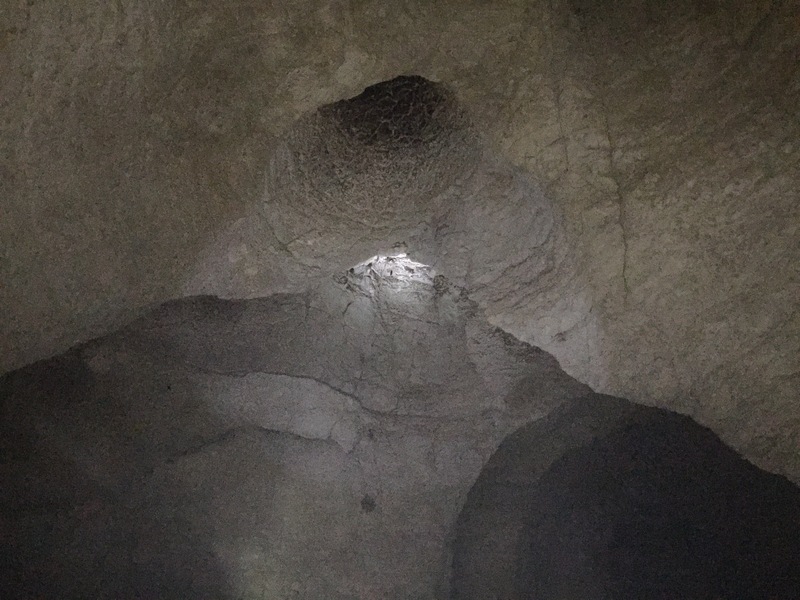 Today it is home to hundreds of bats in Bulgaria, and in the evening you can see them fly out of the cave at the same time. 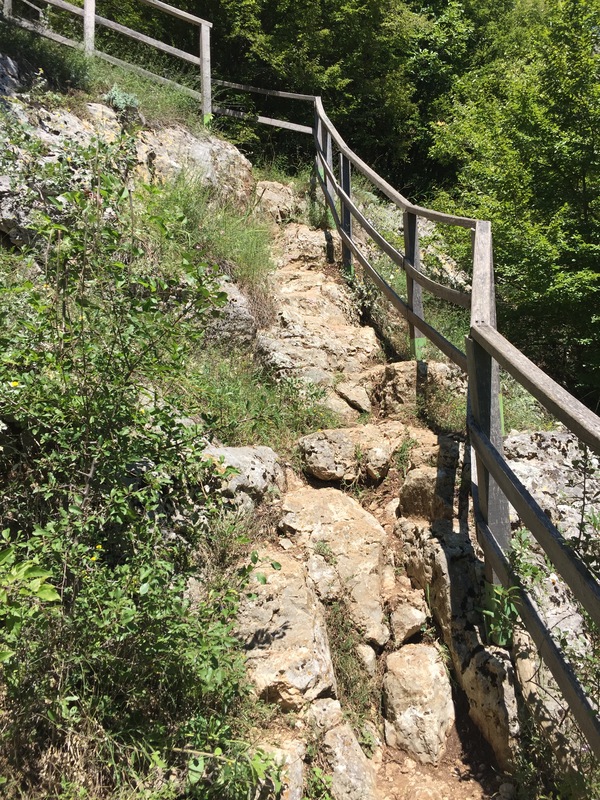 To reach the cliff tops you almost have climb the canyon sides,using the well worn path….. 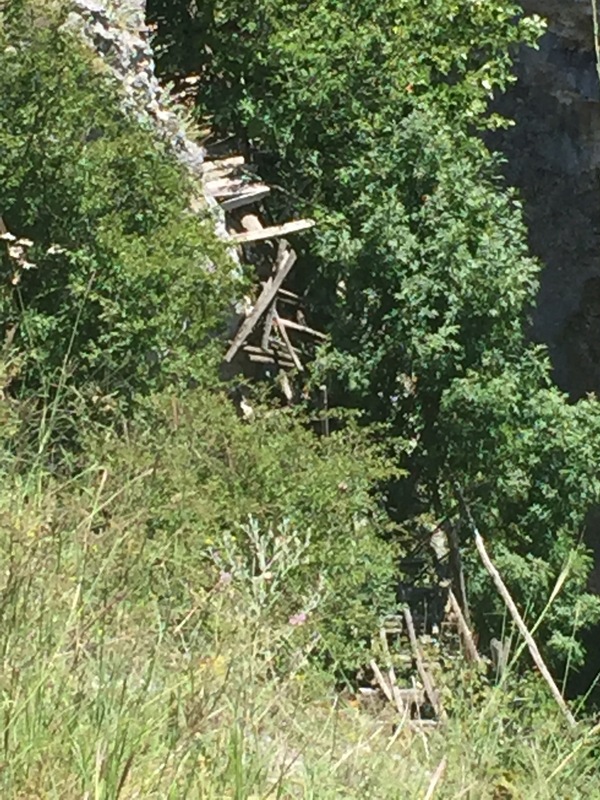 There are bridges, stairs and wooden structures throughout the canyon, but they can no longer be used. Almost all of them are destroyed, so now the walk runs only through the top of the cannon, offering lovely views during most part of the path. Getting close to the end of the walk it takes us right in front of the Monin Skok waterfall. This should have 10 meters of height and is surrounded by steep cliffs. Dreams of it being the Perfect cliff edge location for diving and cooling off, were completely dashed as the waterfall was lacking any water…. Back at base camp (Emen village car park), we pop into mini market, as with most Bulgrian village if they lack a bar, the mini market doubles up ….. 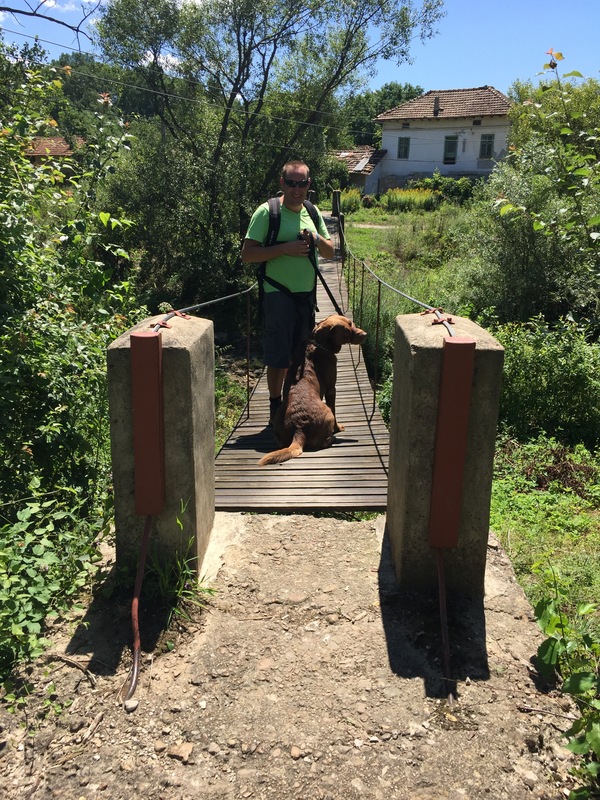 So a couple of bees (3Lev for the two) and we bump into expat John, share an a few words and he introduces us to the locals…. Strangely we didn’t get a pho of this !!!! ← Rain didn’t stop play in VT.